San Diego, CA (November 30, 2018)- A truck fleeing from Border Patrol at over 100 mph resulted in a horrible crash that killed 3 people and caused 8 injuries. 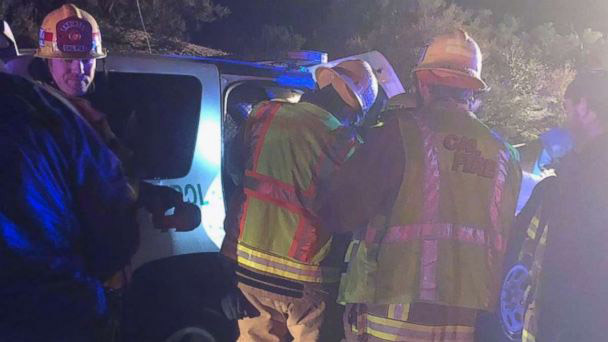 The truck was a Chevrolet Silverado filled with 11 people that failed to stop at the border crossing in Sand Diego County. A preliminary report states that the Chevy truck hit a spike strip that was put out by the U.S Customs and Border Protection agents. The truck then careened off the road and collided into an embankment. Out of the 8 people in the back cab, 5 suffered minor injuries and 3 people had major injuries. 1 woman and 2 men were killed. There were 9 of them lying on the bed of truck and everyone fell out during the collision, the only one who wasn’t thrown out of the truck was the driver who was wearing a seat belt. The collision occurred around 4:30 p.m. in Campo, California just a mile from the border. A spike strip was set on the ground on Interstate 8 which caused the truck to crash. The truck was driving over 100 mph following a rainstorm with slick roads. The driver was an American who has been taken into custody, the rest however are unclear of their nationalities. Neither alcohol nor drugs were a factor in this accident.